February 3rd, 2009 by Alisha K.
This may not be the first time we’ve seen a mix of Mario and President Obama, but it’s certainly the most interactive. Parody flash game Super Obama World replaces some classic images from Super Mario World with a grinning image of the president himself, and some of the familiar enemies and objects have been politicized. 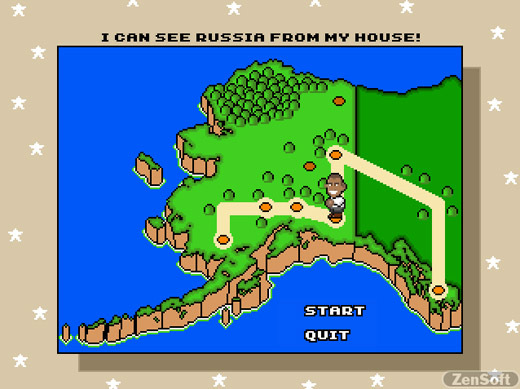 Perhaps the funniest changes are to the world map, where familiar locales like Yoshi’s House have now become I Can See Russia From My House. It’s a longer name, sure, but sometimes, you’ve just gotta go for it. 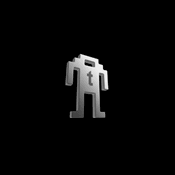 Creators ZenSoft also have a Tetris-style game available on their site. Don’t worry–it’s just blocks falling, with no political themes.